You could win a relaxing break in the heart of Kerry with a two-night stay at The Rose Hotel, Tralee with breakfast on both mornings and dinner on one evening in the elegant Park Restaurant. 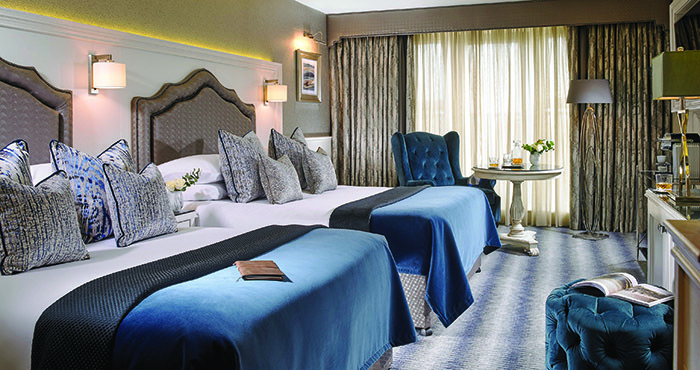 Located in the heart of Tralee, this charming hotel is authentic and easeful, warm and welcoming and the perfect place to spend quality time with your loved ones this winter while discovering all that Kerry has to offer. Wrap up warm and explore The Kingdom’s exquisite scenery, from local Blue Flag beaches on the Wild Atlantic Way to the Dingle Peninsula, the Ring of Kerry and Tralee town itself. After a day of exploring, relax and sample the delights of the seasonal menus in The Park Restaurant or enjoy a drink in the warm and inviting Dott’s Bar before retiring for a great night’s sleep in one of the deluxe rooms. From great value family Twixmas breaks, to pampering and preening in Serenity Spa, The Rose Hotel has the festive season wrapped up!